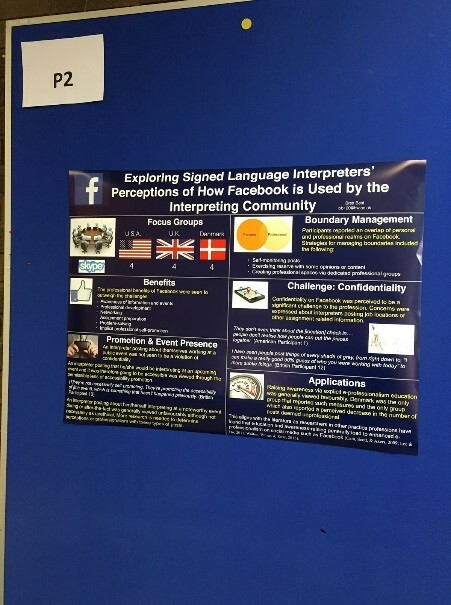 I have been working in collaboration with Dr. Suzanne Ehrlich from the University of North Florida (UNF) on a linguistic and cultural exchange opportunity between some of our respective interpreting students. 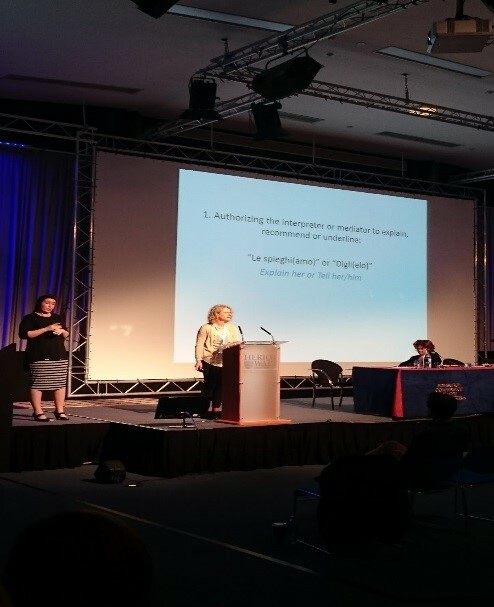 The project was designed to provide an expansive experience in our field of interpreting as well as increasing cultural awareness while exploring Scotland. Students had the opportunity to connect with leaders, community members and other sign language interpreting students. 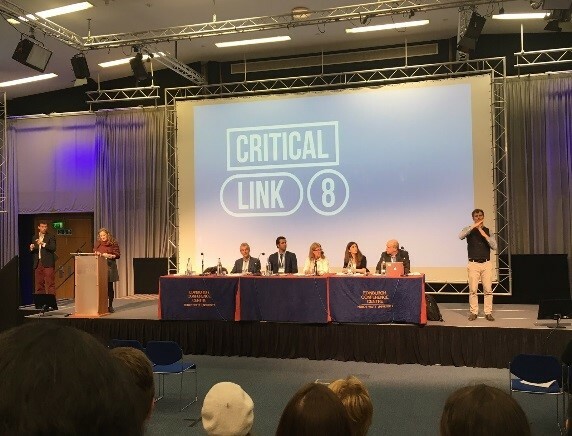 One of the major highlights of the trip was being able to participate in Critical Link 8, themed “a new generation” aimed at future proofing the profession. Monday June 27: Students both ASL and BSL had been eagerly awaiting the introduction of the buddies. All students were put into pairs! Although we didn’t expect them to be “buddy/buddy” or think that friendships would form over night, we wanted to make sure they knew that they had at least one person to go to with questions, comments and concerns but also to engage in collaborative reflection with. 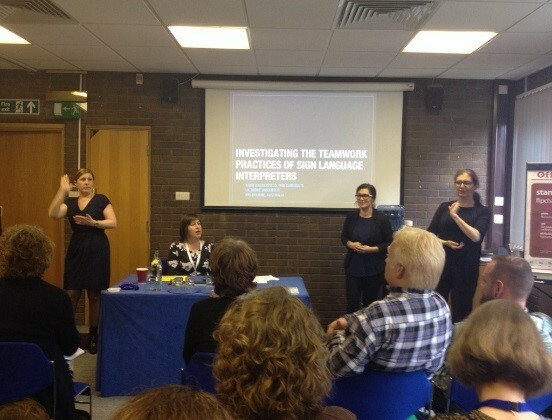 We provided some thought provoking questions to ask each other as well as several activities throughout the day that we hoped would initiate conversations around sign languages and the interpreting profession in both American and Scottish contexts. Students from UNF and HW met for the first time at the Edinburgh Business School Cafe (EBS). We figured coffee and bacon rolls can only make a day start a little brighter! After a brief induction, the tutors left the students to find their way to their classes. Students were then provided a brief introduction to the language of the other country. Heriot-Watt’s Gary Quinn spent two hours with the American students teaching them some basic communication strategies in BSL, while Suzanne Erhlich, from UNF, and I taught the local HW students some American Sign Language. These language introductions went over really well, and students were eager to begin practicing with their buddies. After these initial classes, Yvonne Waddle, Heriot-Watt PhD student and local BSL/English Interpreter, volunteered her time to the students to teach Scottish words and phrases. It was important to show the students just how different English speaking countries are- yes they may share a similar language, but there are so many words, phrases, and cultural rhetoric that is actually not shared across the ocean. People often assume that when you move to an English speaking country it will be just like home- and from my own personal experience, I can assure them it is not! This class was a hit amongst the students, and I caught a few of them using their new Scottish words and phrases throughout the rest of the week! Fanny Chouc, from the French section, assisted us by running a mini conference that focused on the pros and cons of technology. 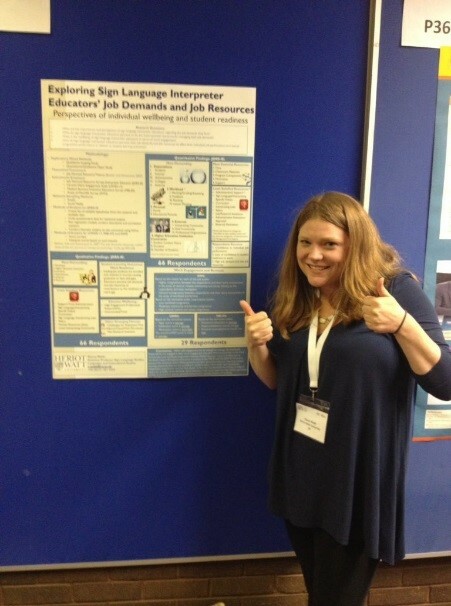 Mavis Lasne, PhD student participated in the conference and gave a speech in Chinese, where MSC student volunteers ,interpreted her speech into English, and our students then interpreted it into ASL and BSL. Interventions were also provided in BSL, ASL and English. Yes, it was a jam packed and we are not even close to being done yet! After the mini conference, students were sent off for some reflection time- clear set time to be without teaching and without their tutors. They could meet with their buddies and use the time to “soak it all in”, make mental notes of what they learned from the day, and ultimately get to know each other. Heriot-Watt has a beautiful grounds and I am sure many of their paths have been a source of inspiration amongst many of our students and staff. Later that evening, students headed to the city centre, where we embarked on a private tour city tour with Sandemans New Edinburgh Tours . We invited friends from the Deaf Community, some local and some from abroad abroad. A local interpreter, Katy Smilie, volunteered her time to interpret the tour into BSL, and I worked into ASL. We learned stories of Deacan Broadie, Maggie Dixon, and Greyfriars Bobby- a true Edinburgh experience! Thanks to Brian Marshall, he was also able to share with us (and the guide) the location of the first Deaf Club, and even pointed out the grave site of Walter Giekie, a famous Edinburgh Artist and former star pupil of the Braidwood school. It was fantastic to have Deaf locals on our tour. We then headed to the Grassmarket for dinner. All 30 of us made it to the Beehive Inn and I have to take a moment to thank the staff, as they were all fantastic! I am personally grateful to them as I know it can be difficult to manage such a large group. Tuesday 28 June: You thought Monday was packed…. On Tuesday morning, we embarked on a tour with Rabbies on a all day excursion of Scotland. With two busses full, the students and invited members from the Deaf Community made there way to Dunkleld, Hermitage waterfalls, Pitlochry, the Queen’s View, Loch Tay/Kenmore and ended at The Famous Grouse Distillery. We owe a big thank you to the UNF students for making this tour possible. Ultimately the 6 students on this trip funded the opportunity for all of the HW students and Deaf Community members attend without cost of their own. This is great example of reciprocity, a value that we hope remains with each one of our students as they continue to navigate their futures as professional sign language interpreters. This trip was also special for me on a personal level; my first interpreter educator was also on board, Melissa Smith, from San Diego, California. 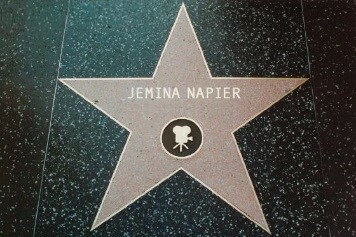 She has inspired me as both an interpreter and an educator. To be able to introduce her to my own students was was incredibly meaningful. Wednesday 28 June- Friday 1 July: Critical Link!!! 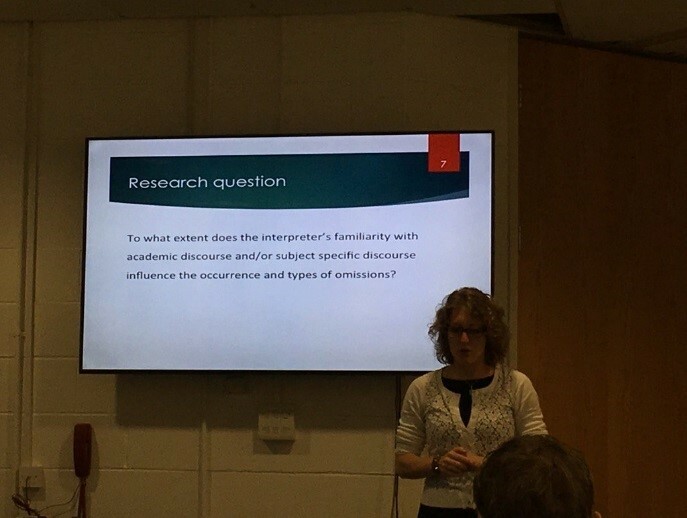 One of the main reasons this week was selected for this linguistic and cultural exchange was that Critical LInk 8 was being held in the James Watt Centre at Heriot-Watt University. I have heard nothing but amazing things about this conference, so the students were not only the ones excited to go. Personally, I feel it is really important for students to go ahead and attend professional conferences, especially international ones, to truly jump start their professional journeys. It is in these contexts, students are engaged in true experiential learning- where they see that all of the “stuff” their tutors are trying so hard to teach them is real and meaningful to the professionals and not simply “stuff” you learn for the sake of being a student. 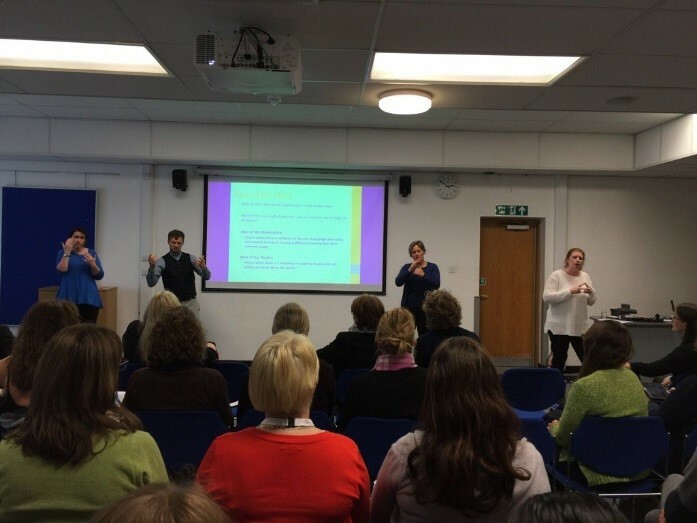 The Conference provided interpreting in British Sign Language and International Sign Language, additionally, there were other sign languages in use (e.g. American Sign Language and Norwegian Sign Language), which provided students even more insight to how different sign languages are from country to country. They were also starstruck- the names they have only read in books, journal articles and seen/heard about in lectures came to life. Other students came up to me and told me how many people they had met. Talking to them you would think they were actually in Hollywood! It truly was special, because if you are going to have any celebrity idols- I think the ones in our profession are pretty great! To celebrate the success of our week, we headed for one last dinner together. Toasts of thanks, laughter and even a few tears the students were delighted with the week. To top the evening off, Franz Pöchhacker joined us at Checkpoint in Edinburgh! The week was perfect blend of sign language, interpreting, deaf community and other professionals within the field of interpreting/translation (spoken and signed). Friendships were formed and memories were made. One of the students from UNF shared with me that the experience was in fact “life changing”– and that is why we teach, right? Yes, that is why we go above and beyond to create meaningful learning experiences for our students. I am so thankful to everyone who helped make this week great, your efforts are much appreciated and please know they made a direct impact on the 13 students who participated in this exchange! So as you can see the Heriot-Watt BSL section has been busy! Over the past several months staff, students and the local Deaf community have been meeting on the 3rd Tuesday of the Month for a meal. We have been going to Entwine, however, recently it has closed down. I am working on finding a new place and I think we will be meeting at CheckPoint, but will keep you all posted via Facebook. As always, remember it takes a village to raise a sign language and in staying with the critical link 8 theme, we humbly invite you to join us in future proofing the next generation of interpreters. 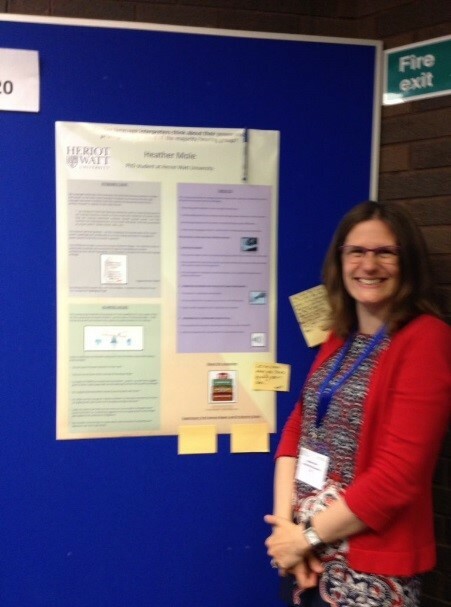 Over the past year, Christine Wilson and the rest of the organising committee have been planning Critical Link 8 (CL8), which was hosted at Heriot-Watt University 29-June – 1 July, with pre-conference activities on 27-28 June. The theme of this year’s conference was the “next generation”- which we see very fitting with our recent graduates! The conference was a huge event. Read the news story on the main HW website here. 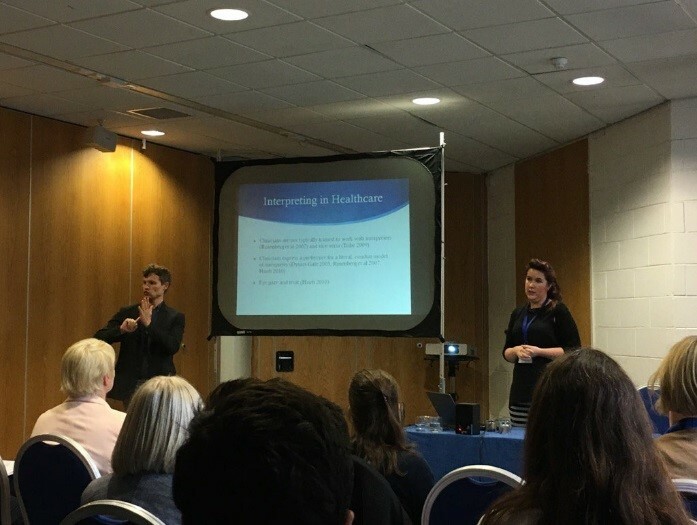 Heather Mole, 2nd year PhD Student, Do sign language interpreters think about their power and privilege as members of the majority hearing group? 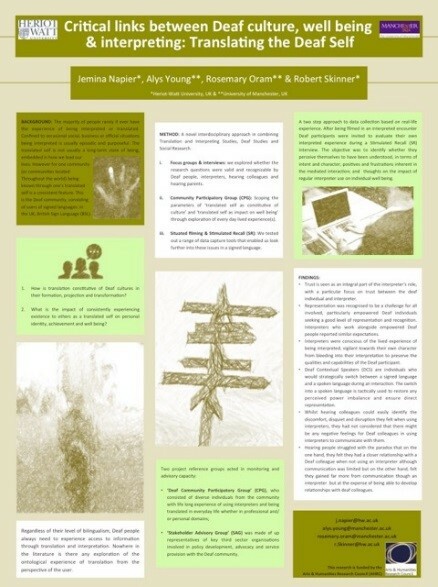 Yvonne Waddell, 3rd year PhD student, Exploring the language and communication strategies of a mental health working with an interpreter in mental health interactions with Deaf patients. Looking forward to meeting you all in June!